This blog post comes from Nora Epstein, PhD Student at the University of St Andrews, who co-organised and attended the Colour Printing by Example workshop, held at the University of Glasgow earlier this year as a taster of the specialist training offered by the Printing Colour Project at London Rare Books School, Institute of English Studies. It was originally posted by the Scottish Graduate School for Arts & Humanities, https://sgsahblog.wordpress.com/2018/10/02/colour-printing-by-example/. Reposted with permission. Introductions from Bob MacLean from University of Glasgow Archives & Special Collections. On May 2, PhD students, alongside librarians, and lecturers from universities around Scotland, took a breakneck tour of the history of colour printing. Thanks to generous funding provided by SGSAH, Dr Elizabeth Savage presented her cutting-edge research for the first time in Scotland. From her vantage point at the vanguard of the field, Savage is uniquely qualified to unpack the methodological challenges of studying colour printing. 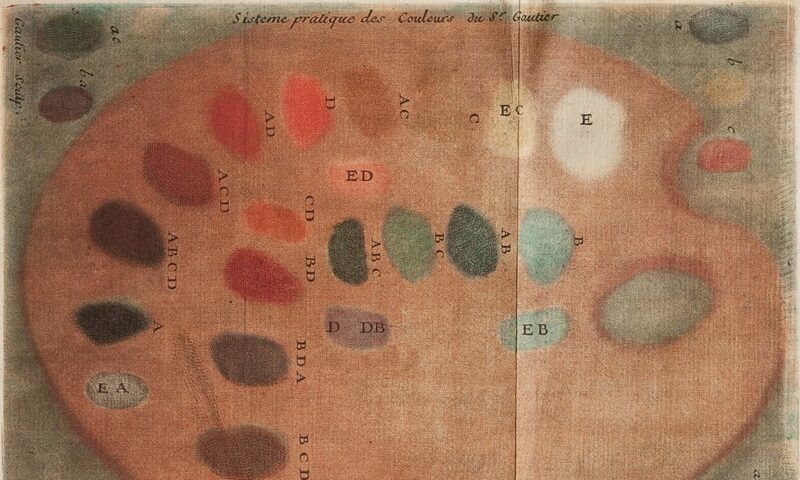 While revisiting the historiography of colour printing, she also shared practical methods for identifying and describing colour illustrations. Although colour printing has been underrepresented by generations of bibliographers and art historians, Savage’s extensive research shows that even from its earliest days, printing has been a colourful affair. Dr Elizabeth Savage introduces the first set of examples. As we moved chronologically from fifteenth-century incunabular woodcuts to nineteenth-century chromolithographs, participants witnessed how colour printing techniques built upon and informed each other. Primary source examples from the University of Glasgow Special Collections Library punctuated the sessions and allowed the group to test our newly acquired skills. While examining the dozens of rare books, heated debated over ink opacity and plate-marks underscored why these items are frequently misidentified and the pressing need for this type of training. Mhairi Rutherford takes a closer look at one of the examples. Each attendee walked away from the training session with newly honed eyes and a heightened understanding of this evolving field of research. From exotic flora to the coloration of veins and arteries in anatomy texts, it is clear that colour played a major role in knowledge production, a role that is only starting to be appreciated. As Savage explained, seminal bibliographers such as R. W. McKerrow saw colour as a nuisance. Art historians like Erwin Panofsky were equally likely to disregard colour as a significant formal element in printmaking. As Savage challenged these long-held assumptions and biases, she identified the barriers that have allowed them to persist. The underdeveloped vocabulary and cataloging standards for colour illustrations influence how historians conduct research. Similarly, when a colour printed item is investigated, it is often understood as an outlier and not, more accurately, as participating in a broader spectrum of image-making techniques. Perhaps the biggest takeaway from this daylong session is that the story of colour printing is still being written. Thanks to librarians and historians like Savage, there is growing recognition of the importance of colour in printing images. As these items are accurately described and made more discoverable, previous presumptions about the subordinate role of colour in printed images fall away. Thanks to the colour printing training session, the participants are armed with the tools to identify, describe, and challenge established narratives about the use of colour in early modern print.